Wordpress is the best way to create your Magazine or News website. With Wordpress you can install and activate Wordpress Themes that will instantly transform the current design into a professional and elegant magazine or News website. You can use Patterns Magazine Wordpress Theme to create a magazine site, news site, magazine collage site, fashion magazine site, sports news site, celebrity news site, gossip magazine site, site like PerezHilton, site like Techcrunch, site like Mashable, political news site and more. Patterns Magazine Wordpress Theme features a responsive design, news ticker, collage image layout, Twitter Bootstrap, controllable article sliders and tons more. 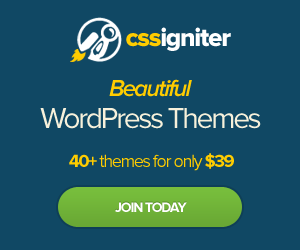 Click here to see more features of Patterns WordPress Theme. This is the most flexible Magazine and News WordPress Theme. There are many things I love about this theme – the collage, news ticker, ad module, and responsiveness. I love that there is a image collage on the front page and not just an image slider. The feature collage displays posts based on a user-defined category or tag. There is also a news ticker on the upper left corner of the screen where you can display links to latest posts or posts in a category or tag. Patterns WordPress Theme also has includes an advertisement module along with “category based ad” option. This module can display different ads for each categories. No matter whats the size of your browser, Patterns will display nicely to any size window. Take a look at the demo of Patterns theme and resize your browser to test its responsiveness at different sizes. Check out this theme and you will love it too.